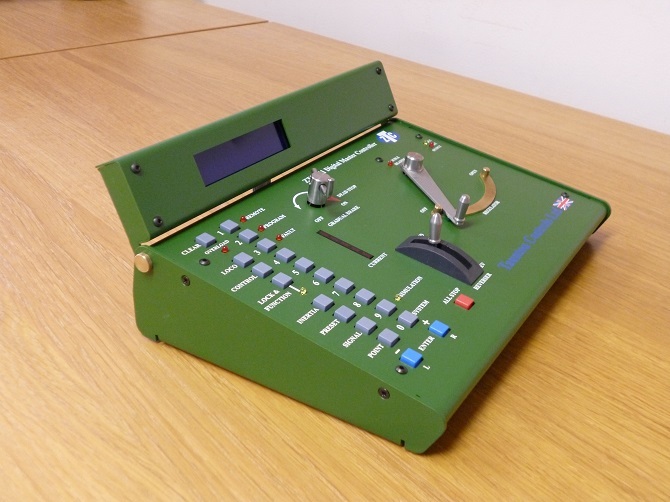 Manufacturer of the ZTC model railway control system, the only British designed and manufactured DCC controller. The ZTC system has a telephone helpline 9am to 9pm, 6 days a week (closed on Wednesdays). If we are out please leave a message, we WILL get back to you. As keen modellers we have always appreciated knowledgeable and friendly service and support from traders and suppliers. We aim to be able to supply products from stock at shows and via our mail order service and this new web site, or by telephone on 01823 327155. All orders will be dispatched as soon as we can, hopefully within 3 days. We are Pat and Graham and we are here to help with any query you may have about DC or DCC. Our helpline 01823 327155 is open from 9am to 9pm, 6 days a week , closed on Wednesdays. If we are not available to take your call please just leave your Name and Number we will call you as soon as we can. This is the first 611 to come from the factory 19 .09.14 we hope you approve of the new look. Number 1 will be on display at All exhibitions we attend from now on. DUE DATE is still coming soon, only when we are happy with how it works will it be offered for sale. Advance orders will be accepted from the 2nd October. Please ring for further details. Taunton Controls Ltd also supplies DCC and DC accessories from ZTC, ESU and Gaugemaster.